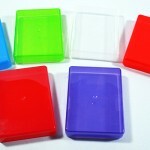 We now have a range of coloured – and clear – Card Boxes in our Accessory section. We sold these for the first time at Indiecon and they proved very popular as an accessory for those making an All Rolled Up purchase. 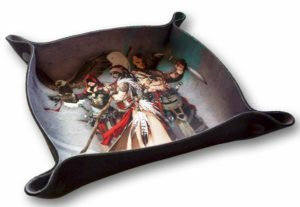 Large enough to hold a standard boxed pack of cards – which means if you have loose cards it should hold several cards more than 54 of a four suit and two Joker card deck. 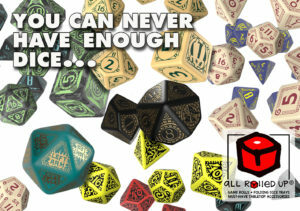 A card box fits in the central pocket of the All Rolled Up, or in the dice bag with room aside for other content. Dimensions approximately 75mm x 100mm x 20mm. Priced 50p each. You can choose to add one or more of these to your order for other product from this site, or just buy card boxes! Buy six card boxes of any colour combination for £2.50.